Hello Jammers! 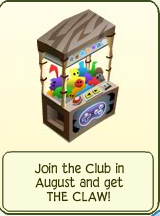 This is a reminder to get the monthly member gift of August. 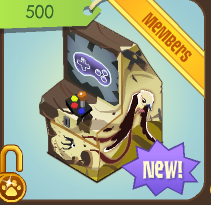 Become a member in August, to get this month's gift, the claw! But remember, there are only 2 days left of August, so time is running out! This claw allows you to get the awesome phantom pluhies! You can't get them anywhere else! 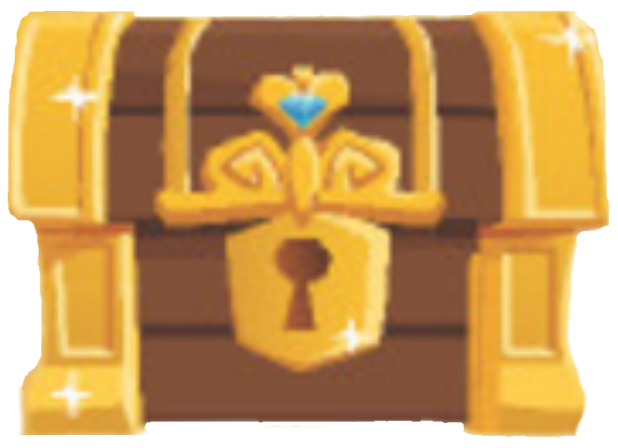 he next monthly gift from the AJ HQ is coming soon! And also, I have been getting lots of buddy requests. Well, I am terribly sorry, but my buddy list is full! So if you want to be my buddy, please add my other account, MayksufiStorage8. Hi Jammers! GreenFun has a message for us. Hi! 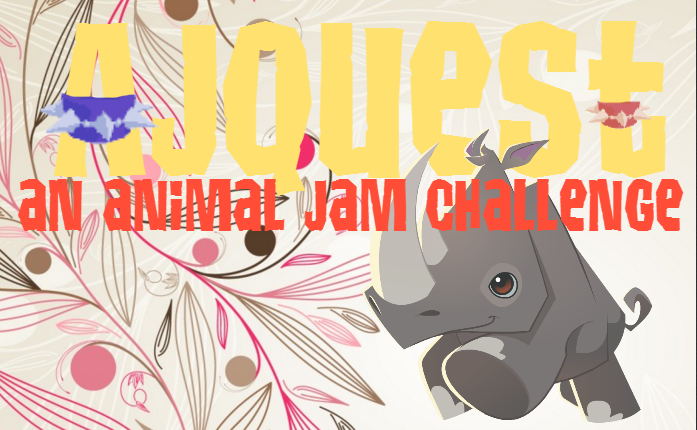 Plz post this on your blog, join team Animal Jam! 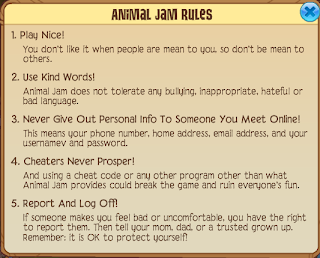 It helps stop badness in Jamaa! 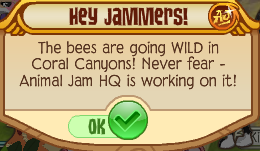 To join, send GreenFun a JamAGram saying Jam On! 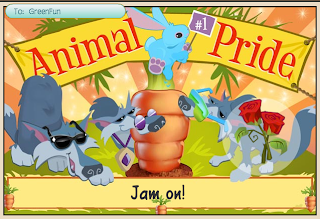 And its the Animal Pride with #1 on it! 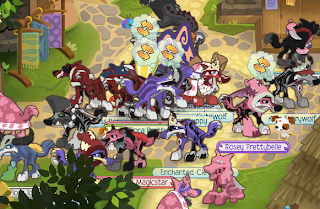 This team is to help stop bad things in Jamaa. For more information, please ask the Jammer named GreenFun! She's really nice! Sorry there hasn't been anything new. If you didn't know, the party has been moved to Saturday, September 3rd. It is the same time and all, just a different time. Jam on! This contest is now over. And the winners... ilovepluto and xxBananaxx! The answer was... A turtle! I have four legs and a tail. I have no teeth. I can swim and dive under water. I carry my house around with me. Who am I? All you have to do to answer, is post a comment with your answer! 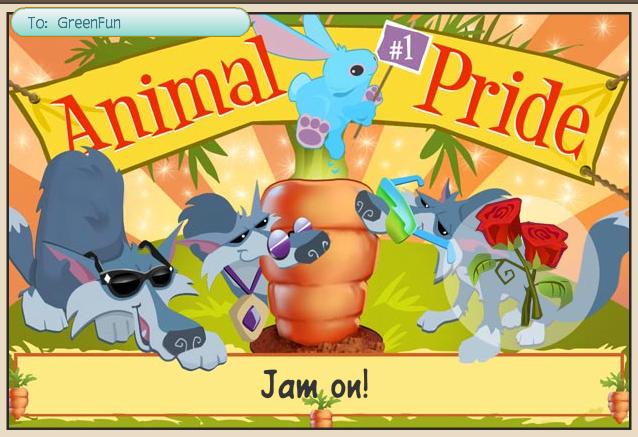 The first two Jammers to get the answer correct, wins the prizes! Good luck! And don't forget, new stuff and the monthly gift are coming soon. I am so sorry, but the party has to be canceled! If you want to know why, it is because there is a hurricane that will be coming soon... We may have to evacuate, so I may not be on for a few days! Hello! There is a glitch when you wear a Royal Cape on a panda! First, thanks to Zer0IsAwesome for finding this glitch. It turns inside-out! And it works with any color of Royal Capes. 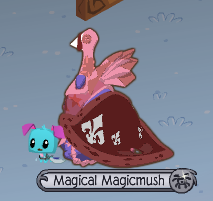 Why are royal capes so glitchy? Hello! Sorry for not posting as much... I've been busy and stuff. You probably already knew that, though. 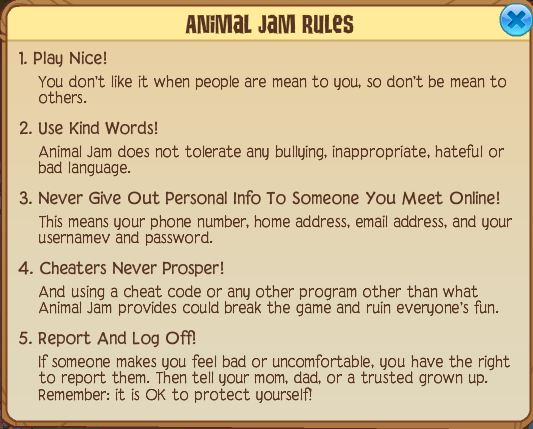 But, did you know that there is a mistake in the AJ Rules? Hello Jammers! The AJ Surveys will be a little different now. There will be more than one question! 1. What is your favorite game on AJ and why? 2. What animal would you like there to be on AJ? 3. 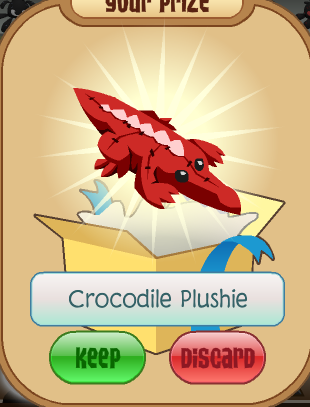 What is your favorite plushie from The Claw? 1. 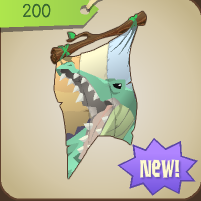 Fruit Slinger, because it is fun and pays a lot of gems! 2. Probably a zebra. I can already imagine what they would look like! 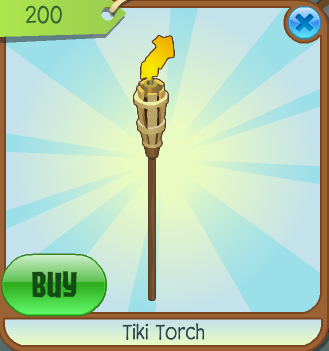 I noticed while shopping for my den, that the Tiki Torch item is more expensive now! Did you notice any other price changes? • We will be moving to different rooms, and dens. • The party will be starting in Crystal Sands, by the pet wash.
Any questions? I can't wait for the next party! Oh look! You found a secret link! It isn't really much of a secret, though... Click here to view the secret blog link! Remember the post I made called "Silent Glitch"? 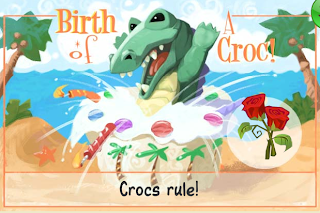 Well that night, the AJ HQ put out a "Short Update"... And it was thought that they fixed this... But, they didn't fix it yet! I am also working on a page with all of the colors of the available furniture! This contest is over, and the winner was JamesK2477! Thanks for playing! 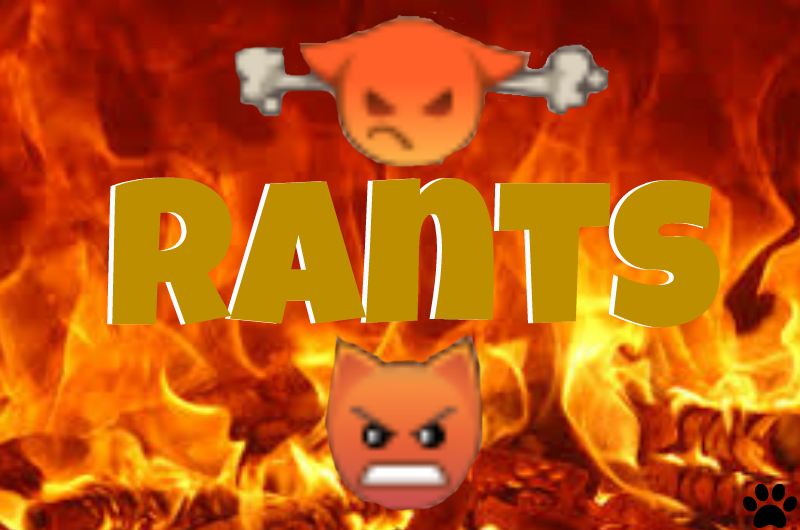 Comments on this post are still allowed, but this contest is over. To see the correct answers, check out JamesK2477's comment. Hi Jammers! This week's Find It Contest will be a little different... 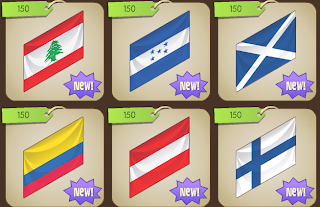 This week and for now on, you get to choose your prize! This prize will be from the account AFJPrizes. here will soon be a page that has all of your choices, and more about everything. Also, if you didn't know, every Friday, AJF had another Find It Contest. But now, it will no longer be only Find It contests, there will be different contests every Friday! This week, is a Find It Contest. It is more like a bug, though. This is getting really annoying, because now, I can't chat with my buddies... Is this happening to you too? 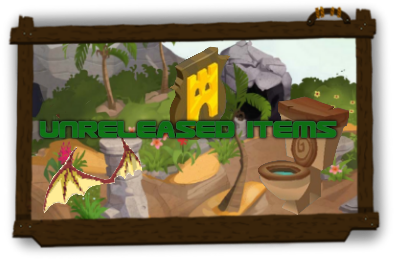 It feels pretty early for new stuff to come out now, but here is the next update! I have NO idea what that is! Is it some kind of Cloud Hat...? 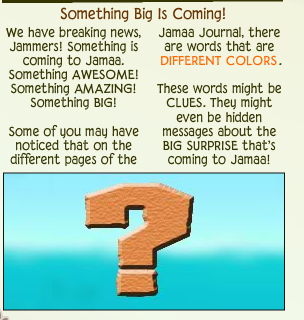 "JAMAA IS CHANGING" "NEW LANDS" "NEW ANIMALS" "NEW GAMES" "DIFFERENT COLORS"
LOTS of new stuff is coming! 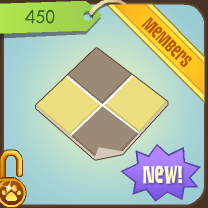 Speaking of different colors, if you are a member, you can now change the colors of some den items! 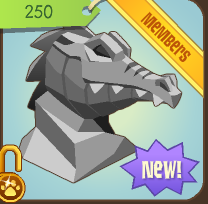 Ninja Masks and Dragon Masks have returned! 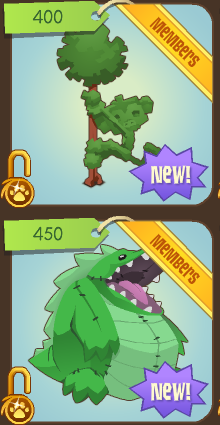 Monkey Topiary, giant croc plush and croc banner! Sorry I haven't been posting as much... But I have some news for y'all! 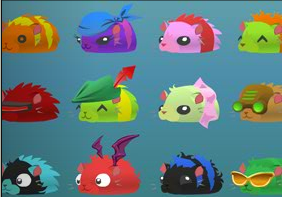 I know I still owe Scourgebc a Freedom Hat, and foxlen a bird feeder... So sorry they are late! 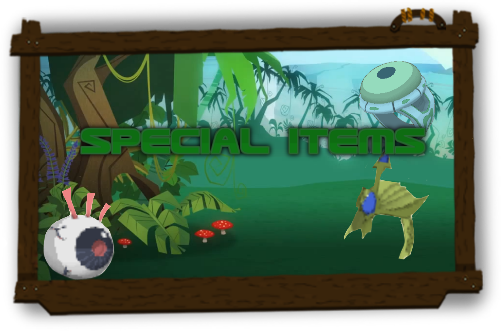 Well, for now on, if you win the Find It contest or other contests, you will be able to pick an item from my prize box! My prize box will be an account named something like 'AJFPrizes' or something. I will be making a page for prizes and explain the prize box more. And to Scourgebc and foxlen - I will let you guys have TWO items from the prize box, for being late! I will put the bird feeder and freedom hat in the prize box thingy (But you don't have to take those, you can take ANY two items). Any questions? Mine would have to be my heart balloon or turkey hat. And soon, there may be and update about the prizes that I give away! Hiya! It is time for another party! This is AJF's 100th post! Thanks everyone for keeping this blog 'alive'! Can you tell me where this pictures were taken? I will give you a hint - Only one of them was taking inside a building. 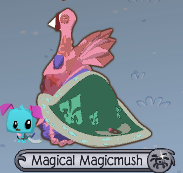 What in the world is that pink thing? 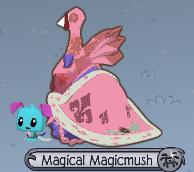 It says I got a Blue Rug, an invisible item, an invisible item that thinks it is already in your den, and a pink... Think? This pink thing turned my eyes raspberry pink! What the...? 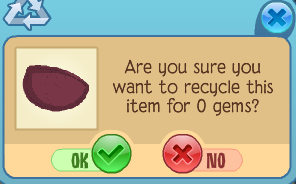 Recycle it for 0 gems? I click OK, and... I still had it! If you try to send this thing to someone, they will not get the Jam-A-Gram, and you will lose the item. It will also automatically disappear from your inventory after a while... You can't trade this item either. If I tried to put one of these things in my den, it didn't show up! 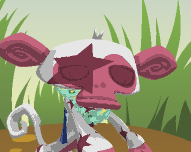 I think this is a test item (Also knows as a 'dummy' item) that AJ HQ is using to bring 'Face Items' to Jamaa! 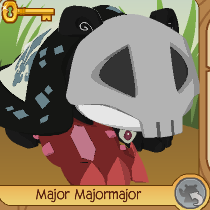 For example, Bat Glasses would be Face Items, but Arctic Hoods are head items! So you can wear them both at once! My other prediction, is that you will soon be able to purchase Make Up for your animals! 3. Now, offer 4 den items for their unwanted item, and make sure they accept. 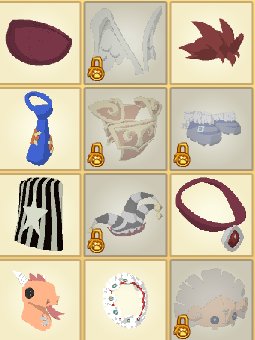 Now they have the glitch items! If YOU want the glitch items, tell your friend or make your other account do these steps! Warning: You may lose all of the items that you used to do this glitch. 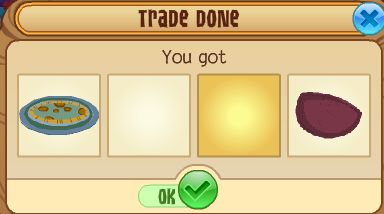 Make sure you don't trade any of your favorite items, because you may not get them back! 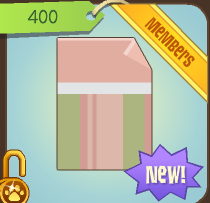 Membership Notice Reveals More Animal Slots? HpforEver, ollie42, and Buddy of the Week Update!